Meeting point: Sunset Circle Parking lot at the junction of “Lake Merced Blvd and Sunset Blvd”. 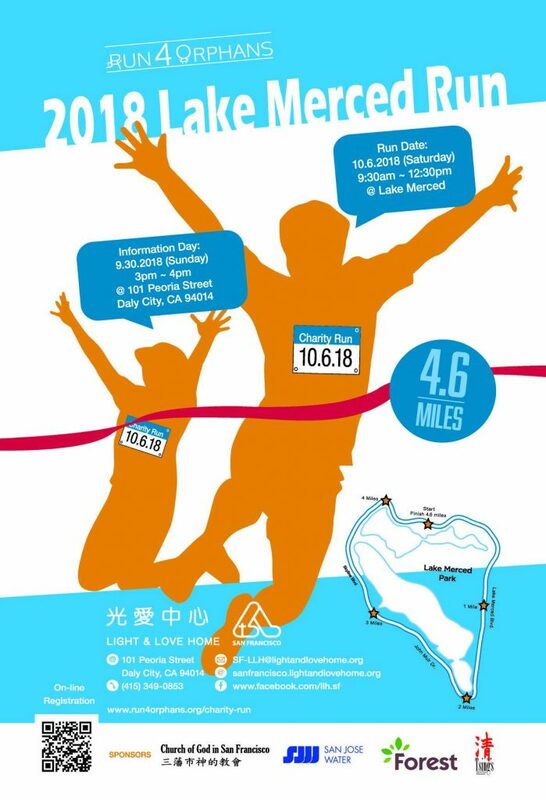 Run details: Starts at 10:00 am, run along the whole Lake Merced, about 4.6 miles. The route is also open to the public. Please observe all traffic rules and safety guides. Note: The event will be held, rain or shine. Please bring an umbrella, a cap, and sunscreen as needed. Please wear the bib and sports shoes.